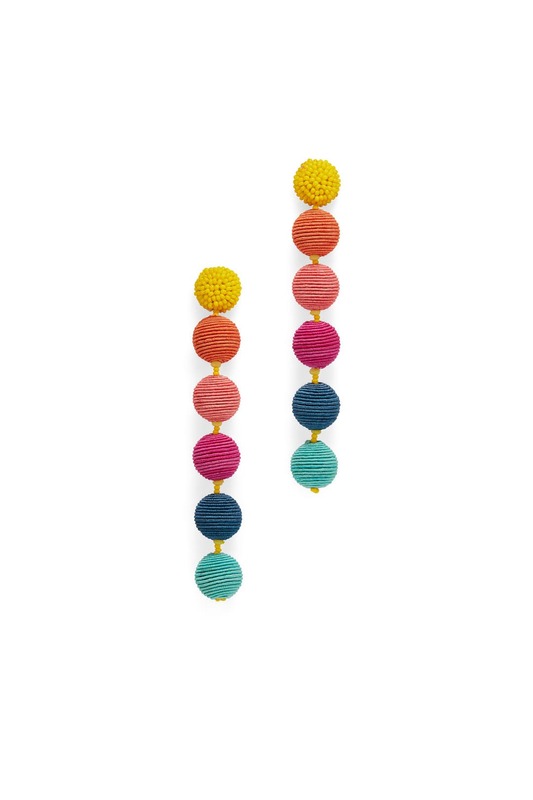 6-tiers of baubles wrapped in silk cord and textural seed beads just graze the shoulders, making these multicolored earrings by Area Stars a quirky accent to your billowy sundresses. 14K gold plated linear earrings with multicolored seedbead drops. Post backs for pierced ears. 4" long.